It all started with Brian Bair and Jerry Coleman, two real estate professionals who had a vision for making a better home selling experience. In 2009 they joined forces and began buying and selling thousands of homes across the country. Offerpad is looking for their next teammate to join a community that is dedicated to revolutionizing the way homes are sold. 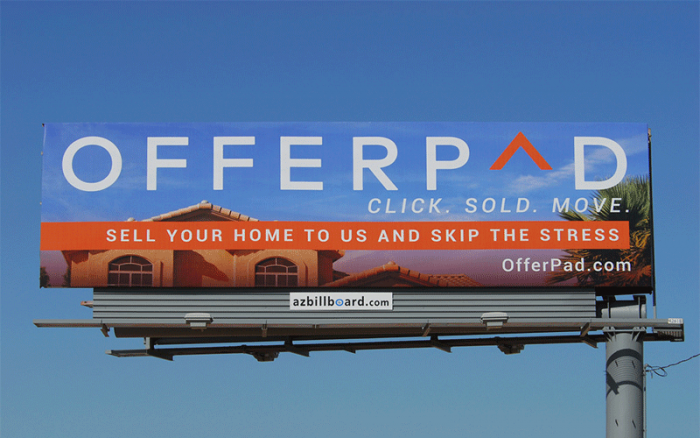 The Real Estate industry is prime for a technology revolution and Offerpad is here to lead that change. They have a dream to empower homeowners through automation providing an easier and more peaceful way to sell their home. If you love technology, have a passion for real estate and want to serve a purpose bigger than yourself, then we want to invite you to share your unique gifts with their community. You will be expected to learn, innovate, and adapt in their fast moving, start-up environment. They are looking for partners, not employees, who will embrace a collaborative partnership mentality, own your decisions and results, and practice transparent communication. They succeed as a team with no room for ego. If you are ready to take up the mission as your own by adding direct value to their cause, Offerpad will be excited to hear from you. Click Here To View And To Apply To All Of Offerpad's Available Positions!